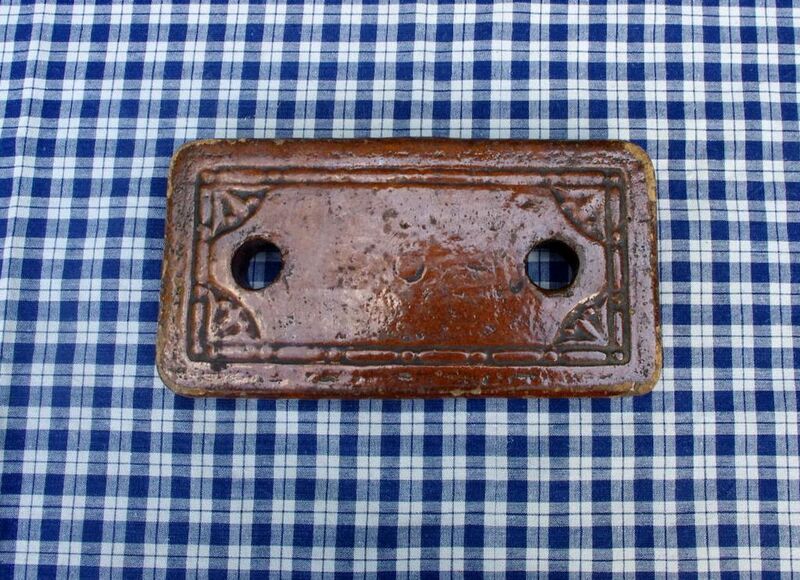 Alsace bed warmer in glazed terra cotta brick. What did we ever do without central heat and air conditioning?! On our recent warm fall days it seemed sinful somehow to turn down the thermostat and let the air conditioner run. When it’s in-between too warm and too cool at night for the heat pump, we don’t think it’s just right; we need that steady hum to lull us to sleep. We didn’t have that option in my childhood home. Our house didn’t have central heat, it had a central heater. A shiny brown rectangular oil heater stood on one side of our dining room, its top grate serving as a handy warming tray for coffee cups and oatmeal bowls. A little door on the left allowed access to the burner, the edge of the door frame just the right height to rest your cold feet. The straight-back chair in front of that stove door was available on a strictly first-come, first-serve basis. I read many a chapter of the latest Nancy Drew adventure sitting there, leaning the chair back to catch the light as I toasted my toes before bedtime. Except for the adjoining kitchen the rest of the house was kept shut up to keep the warm air in and the cold air out. If we needed the living room to entertain visitors in cold weather, it had to be pre-heated. A coal grate filled the fireplace, sticks of kindling and wadded up newspaper stuffed beneath it for a fast light. Unfortunately, cold-air leaks from the living room windows meant the only warm spot was directly in front of the fireplace. Your front would get warm while your back suffered from frostbite and you never got uniformly comfortable before it was somebody else’s turn. The bedrooms weren’t heated at all but we had plenty of quilts and blankets and bricks. Didn’t everybody have bricks in their bed in those days? (See below) Mama made good use of some old coarse-weave drapery material. A brick was wrapped round and round with a length of it until it was nearly doubled in size. On cold evenings these mummy-wrapped bricks were perched atop the dining room heater and turned over several times until heated through and through. When the brick was just right, Mama and I would make a dash for the bedroom. She would turn back the covers and lay the brick at the foot of the bed. It took some getting used to. There were no arm chairs and no couches, just the dining room table to lounge around and read the paper or do your homework. It was almost worth suffering August and September heat waves to enjoy a soft sofa or comfy rocking chair in the living room, rather than suffer cold earlobes and the noisy fan rattle in the air conditioned dining room. I don’t remember ever having an air conditioned automobile growing up. Car heater yes, air conditioner, no. The little glass triangles in the front car door windows turned out, breaking the gale-force wind that would come in the rolled-down windows otherwise. If I stuck my head a little ways out of the back window, I could get enough “good air” to last until we got wherever we were going. We’ve come a long way since those days. There may be an old brick around someplace, but no old drapes to wrap it in and no oil stove to heat it on. And we’re so used to the temperate temperatures in our heat-pumped condo, it’s not the slightest temptation to do without the “good air” in hot or cold weather. Our bricks weren’t the fancy glazed kind, they were just left-overs from when the house was built or something. Worked fine, though.